Take your gaming style to new levels. Welcome gamers. You’ve found Xbox One skin heaven. It’s time to take your Xbox One’s style to the next level with our range of Xbox stickers and skins. Take advantage of our free global shipping program today! Whether you’re running a train on people online or having a serious session with your friends, our Xbox One skins give your Xbox the colour and attitude it deserves. Each panel is precision cut for easy application and perfectly designed to fit your Xbox console. We even include three free matching Xbox Logo decals. One for your console and two for your controllers. Now invite those friends over and show off that console. 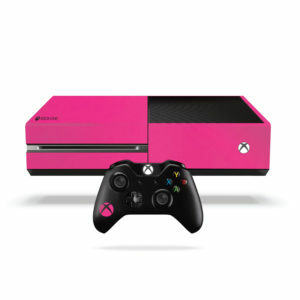 Do you have a specific enquiry about one of our Xbox One stickers? Do you want a custom Xbox skin? Then don’t hesitate to get in touch with our friendly team. We’d be very happy to help you.